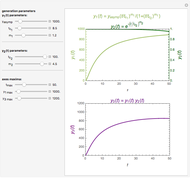 This Demonstration depicts the evolution of spontaneous peaked processes and chemical reactions such as acrylamide or peroxides formation and degradation where the initial number or concentration is zero. 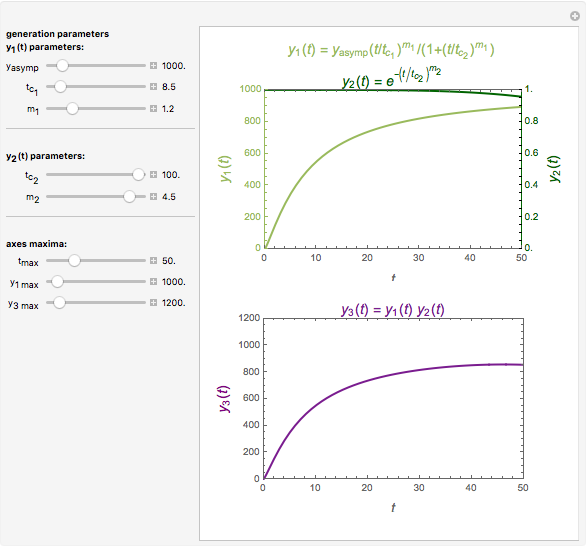 This Demonstration depicts processes or chemical reactions starting at zero initial concentration. The process or reaction is governed by two competing mechanisms, one of growth or generation and the other of mortality or degradation. The concentration, , is the product of the growth component, , representing the system's potential for uninhibited growth, and a decay factor, , , which represents the decay component. 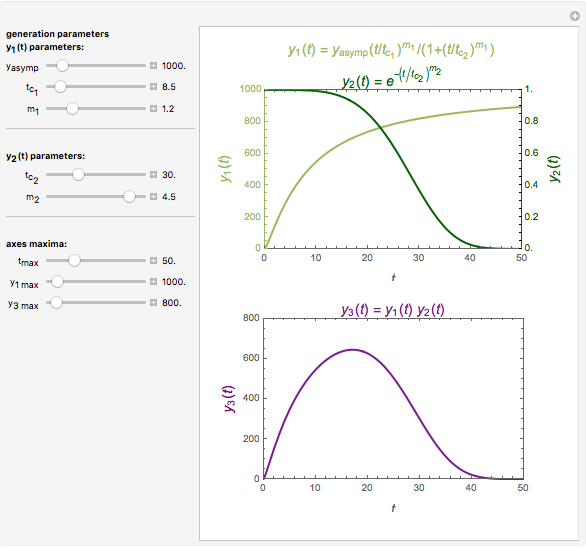 Each has a characteristic time scale, and , and "rate parameter", and , whose values along with can be modified using sliders. is the maximum possible concentration that could be attained had no degradation taken place. 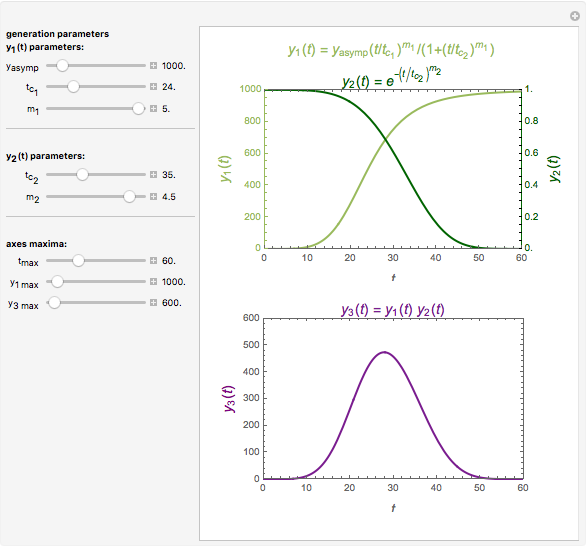 The Demonstration plots the functions and together in green and the corresponding in purple. 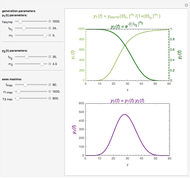 The maxima of the , , and axes can also be adjusted with sliders. 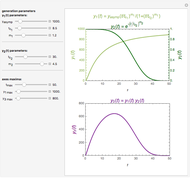 The equations for , , and appear above the plots. Micha Peleg "De Novo Growth Processes with Competing Mechanisms"